I ended a recent talk in Delhi with a few words on 'Adaptive Parking'. Now I want to start explaining it in more detail. I also want your feedback so please leave a comment. So what is Adaptive Parking? I suggest the name 'Adaptive Parking' for various parking policy reforms that focus on increasing the market responsiveness of our parking systems. Parking policy in a city that embraces Adaptive Parking would have a clear focus on this goal of making parking more market responsive or adaptive. But market-responsiveness does not have to be the ONLY goal. You could still use parking policy as a tool for worthy objectives like traffic restraint or helping local retail businesses. But with Adaptive Parking, you would make sure to pursue such goals in ways that also preserve market responsiveness in the parking system. Parking arrangements in suburban centres are usually far from adaptive. Supply is heavily regulated to produce oversupply, so that the price is zero, killing most market processes in parking. Most parking is private (customer or employees only) so even occasional localised demand in excess of supply will cause a spillover problem and prompt pleas for even more supply. ensure enough alternatives and/or competition among parking facilities, so that people have options. There is also a prerequisite. Before starting on Adaptive Parking your city will need to get good enough control of on-street parking and parking in public places to deter disruptive nuisance parking. Maybe you have other suggestions on how best to implement Adaptive Parking? If so, please leave a comment. Market-oriented yes. Market fundamentalist no. Adaptive Parking, as defined here, is part of a market-oriented stream in parking policy thinking. This stream also includes most of the work of Donald Shoup. It also includes Gabriel Roth’s contributions in the 1960s (PDF). Parking reforms would not have to be 'market fundamentalist' to fit my definition of Adaptive Parking. So Adaptive Parking does not require all parking to face a strict market test. Nor would it demand total deregulation. It does not even require the complete elimination of all subsidies or cross-subsidies. If you pursued Adaptive Parking reform vigorously enough, you could end up with strongly market-based parking. But I see Adaptive Parking as anything that nudges a parking system in that general direction, towards greater market responsiveness. It does not necessarily demand that you go all the way to an ideal of 'free market parking'. For example, a parking reform that increases the ability of parking supply to adjust in light of real demand fits the bill even if it falls far short of deregulating parking supply completely. A reform that makes parking prices a bit more responsive to the balance of demand and supply can be an Adaptive Parking reform, even if it doesn't achieve perfect performance pricing. In the months ahead, I plan to post much more about Adaptive Parking. 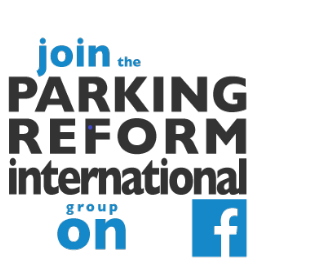 I hope you will help develop this parking reform agenda by offering your feedback, questions, criticisms, objections and suggestions. I will be arguing that Adaptive Parking reform is promising. I think it offers ways to gradually escape the trap of conventional suburban parking policy, even in automobile dependent suburban areas. It may even offer a chance to do so without being vulnerable to accusations of social engineering. Parking arrangements in Japanese cities tend to be relatively adaptive. Free parking is the exception not the rule. Most neighbourhoods have market-priced commercial parking with various facilities to choose from. There are minimum parking requirements for large buildings but small buildings are exempted and the requirements are modest. 'Spillover' is normal and expected and not much of a problem, since motorists have come to expect that they will have to look for priced public parking near their destination. I think this is a promising policy approach. From my perspective we (as policy researchers) need to come up with some ideas as to how we move away from conventional parking regulations because I don't think prohibiting parking is politically viable. I think adaptive parking is a good approach along with the "park once" designs. I'm doing some work on using existing parking lots as part of a land assembly strategy, perhaps through a land assembly district, and it seems that adaptive parking complements such an approach nicely. I think you can develop AP as part of redevelopment strategies that cities pursue. It should make development and re-development cheaper. David, many thanks for the encouragement. I am looking forward to hearing more about your parking/land assembly ideas and how you think adaptive parking might fit in. And yes, I see Adaptive Parking as likely to be helpful for certain kinds of redevelopment, such as transit-oriented ones. thank for nice sharing and posts.